“Huh?” Mark replied, embracing himself and flapping his hands against his shoulders and stamping his feet to keep warm. “I con con-vinced you?” If I could have wiped off his silly smug expression right then and there I would have done it, but I was too damn cold. “Con-vinced you! How?” My enunciation was somewhat hampered by a mouthful of chattering teeth. “No.” I insisted. “She’s got them.” I could feel the seams in my jacket pockets begin to give way as I forced my hands in further. “I know. I know. Get your arm out of my face,” I demanded, pushing it away. I, too, was concerned but more for selfish reasons than for their safety and wellbeing. I should have felt a twinge or even a prick of guilt but I didn’t. The forlorn expression on Mark’s face mirrored how I felt at that moment. Tonight was a big deal. Neil Young was doing a live performance. It was being recorded for his upcoming album. And, here we were. Without tickets. Freezing our buns off. Our eyes shifted to the doors opposite as another set of patrons entered. Some sort of strange sounding chant began to erupt from Mark’s lips. I surmised he was praying for a miracle. Whatever he hoped to achieve worked. The center doors suddenly swung open, Jeanne holding one, Jill the other. Jeanne waved the tickets high in the air while Jill motioned for us to join them. Stunned, Mark and I stared at each other in astonishment. “Well! Are you coming or not?” Jill yelled out. Heedless to traffic, we quickly joined them. Still dumbfounded by what had just happened, neither Mark nor I pressed for an explanation or an apology. Our time was at a premium. We followed the girls to our seats in the orchestra section. Middle seats, third row, right in front of the stage. At that point, even if I had wanted to say something, I could not have. Simply put, I was speechless. We had barely taken our seats when a gentleman in the seat in front of us stood up and turned around with an outstretched hand. Jeanne introduced both Mark and I as we shook hands. Scott Young smiled and regained his seat as his son, Neil, took to center stage. I took Jeanne’s hand and we settled in to what we knew would be a great concert and an unforgettable evening. 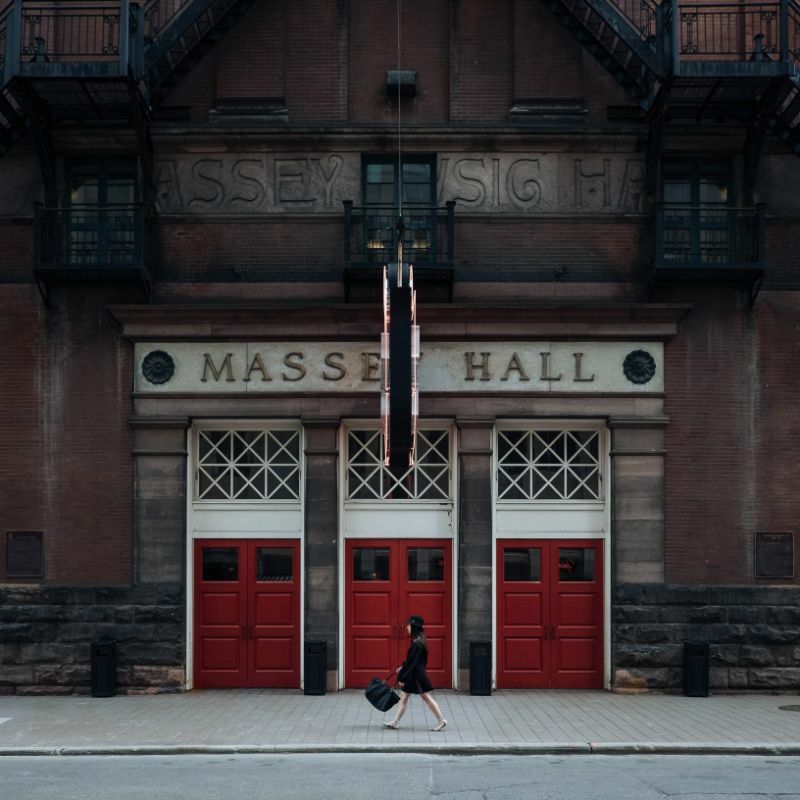 This entry was posted in Betrayal of Trust, Short Story, Writing and tagged Canada, Massey Hall, Neil Young, Ontario, Scott Young, Shuter Street, Toronto. Bookmark the permalink.